I myself not HokkienESE. I am a Cantonese, since I’m born in Penang, I became a Penangite, Penangite must know Hokkien because it’s widely spoken here, if not very sia sui, can go to Penang Bridge jump down. HAHA. On that day morning I went to Collect Can Food which is for donating to the old folks home in conjunction with Chinese New Year celebration. 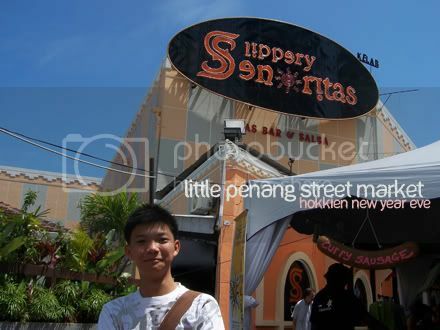 Then later that lunch time, I went to Little Penang Street Market at Upper Penang Rd. with 2 of my best friend and also frequent Penang Hokkien listener. 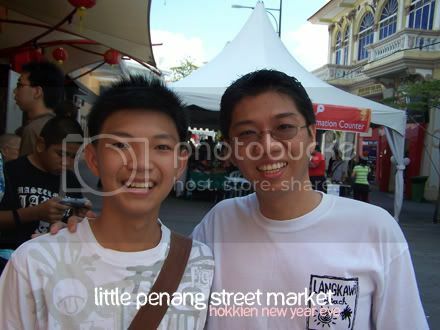 We go there is to meet Penang Hokkien founder/host of the show, John Ong. He was doing a live recording show there and that’s because of that day is Hokkien New Year Eve. 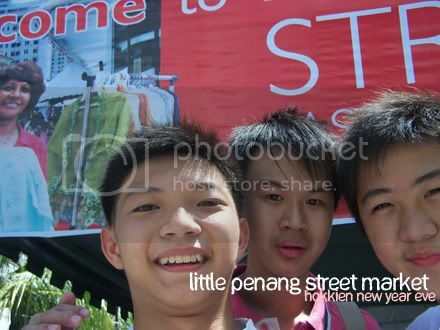 Met some other listeners of Penang Hokkien. John’s mommy(Ong Boh Neoh Neoh), daddy(Ong Teh Pa Pa) were so kind to drop me off home. Thank you! 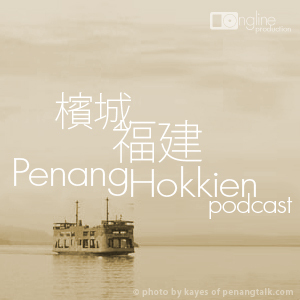 ((( Listen to Penang Hokkien Promo 2 ))) – 150 seconds of audio promo. 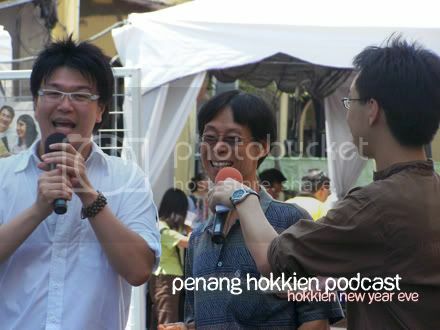 The first podcast entirely in Penang style Hokkien. It would help if you understand the Chinese dialect Hokkien (Min nan). Or just listen to us laugh, and laugh with us.